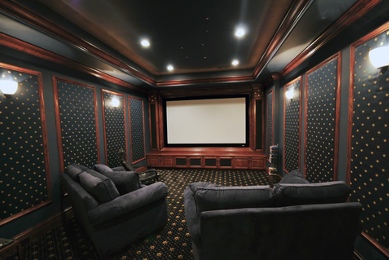 Learn Why We Are The Most Trusted Home Entertainment Systems, Home Audio Systems, Home Automation, Home Theater Installations & Home Theater Seating Integrator In and Around Areas of Atlanta, Marietta, Peachtree City, McDonough, Griffin, Newnan, & Fayetteville, GA. Imagine: You sit down in your home theater or media room and press a single button on your ipad touch-screen. The lights dim to a glow and the curtains open to reveal your theater screen showing your movie collection or video apps on the screen. As you select your movie or favorite HDTV show, your theater comes to life and you relax, submersed in crystal clear sound and imagery as vivid as the best theater down in town. 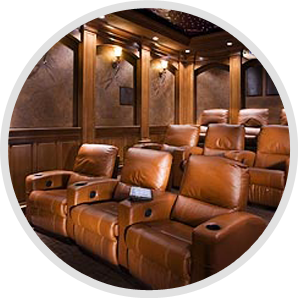 This is the incredible experience of a properly designed and installed home theater from Atlanta Entertainment Systems. Imagine being able to enjoy all of your video options on every TV in your home or establishment at the touch of a button. 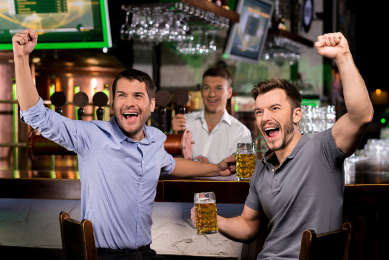 Watch your entire movie collection, the playoffs or any streaming video and sound in vivid High definition video in every bedroom or every TV at the bar. Warm crystal clear sound comes on over your audio system- in sync with the video and you are right where you want to be. Music and video distribution gives you the convenience of access to all of your movie and music collection or apps where you want it with the simple press of a button. We provide expert advice, design and installation of audio visual systems that look and sound incredible and are simple to use. Technology has become a part of everyday life and you need a partner to make it all come together and be easy to use. 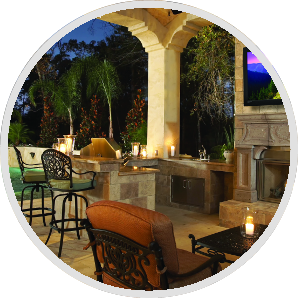 Automating your home or business is the art of integrating your Entertainment, Lighting, climate, background and security to all work together in one easy to use system from your touchpad or our remote control system. Enjoy the convenience of a single button press or schedule, engaging a “scene” that Arms the alarm, dims the lights to preset levels, starts up your entertainment and sets the temperature. 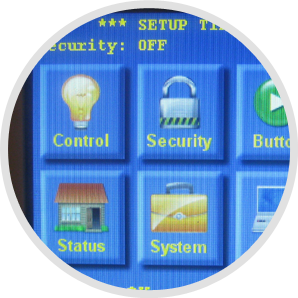 You can even view and control your home systems from work or vacation with our convenient automation solutions. Our entertainment and corporate solutions help our clients entertain, engage and impress their customers at every turn. 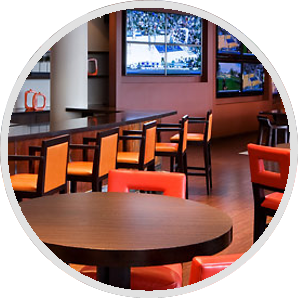 Our Restaurant and Bar solutions Provide the ultimate in entertainment using music and video everywhere. Audio and video switching can be easily controlled by your entire staff with our simplified interfaces while digital signage helps you communicate your message in a more vivid and interactive way. Corporate Boardrooms – Where great minds meet to engage and collaborate. The right technology like teleconferencing, wireless presentation solutions and the right audio video make your communications and message seamless and more impactful. From Design to Training, superior advice and service is what you will experience. Come inside to learn more about our solutions. “Thank you for all of your advice and guidance on our new home system. We went from being intimidated by the technology to how surprised at how easy it is to use with this neat remote. Our kids love it and I am impressed by the sound and picture every time I turn it on. The HD is amazing on the JVC.